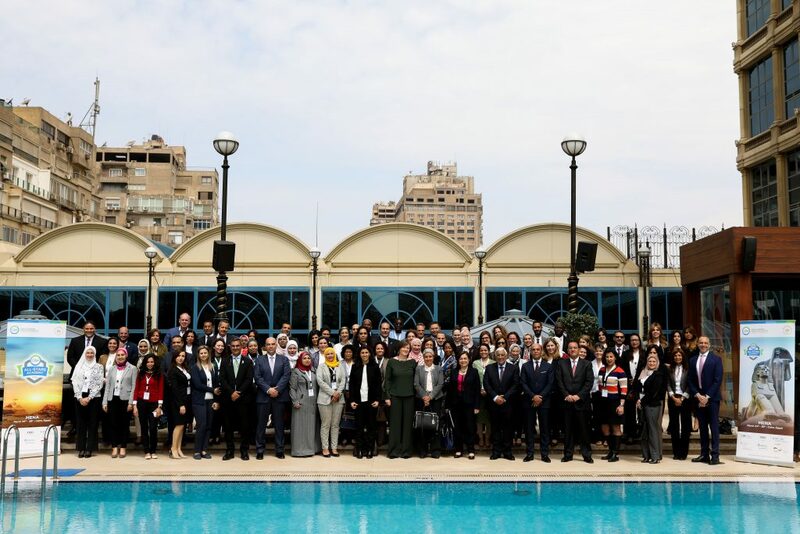 The Central Bank of Egypt hosted the 6th edition of the Global Banking Alliance for Women (GBA) All-Stars Academy program, bringing 100 practitioners to Cairo from March 24th to 28th, 2019. Among the participants were representatives from Morocco, Libya, Sudan, Palestine and Iraq, as well as Sub-Saharan African countries such as Burundi, Malawi, Zambia and the Gambia. CEOs from 11 Egyptian banks were also in attendance at the All-Stars Academy’s opening session. Instructors at the training highlighted how the All-Stars Academy could help participants to boost their business and have a positive impact on the economy. Julie Baker, Head of Enterprise and Community Finance, Commercial and Private Bank at NatWest, part of the Royal Bank of Scotland, agreed, placing special emphasis on the value the program could have for women business owners. Program participants also stressed the importance of the training and the role they see it playing in helping them to tap into the female economy in their regions. Central bankers in attendance noted the value of the program to demonstrating the business case for banks to support the Women’s Market. “The program was really valuable as it demonstrates that women are potential resources for banks and economies. If they become bank customers, they will empower themselves – and in turn foster development in their society,” said Dr. Nagwa Sheikh El Din – General Manager for Sudan Micro Finance Development Company, part of the Central Bank of Sudan. The All-Stars Academy MENA was anchored by a Women’s Market pitch competition, where attendees demonstrated everything they had learned during the course by preparing and delivering a 5-minute pitch on the business case for a Women’s Market program in their home market. Participants from all the retail financial institutions in attendance took part in the competition, presenting their Women’s Market pitch to one of the expert instructors. The best three pitches were chosen, and those participants then presented to the entire room, which voted for the winner. The finalists were M2T of Morocco, NMB of Nepal, the National Bank of Egypt and the winner, QNB ALAhli. This post has been updated with additional quotes and to correct previously posted incorrect information.